Our Wedding Banquet Preparation was more complex in scale as compared to our Church Wedding’s. There is more detailed planning required and I’m not one who has the patience for that. Hence Sweetie Muffin was the one who was stressed over the itinerary and all. We decided to hold our banquet at Marina Bay Sands – have blogged about their Wedding Showcase HERE and my personal experience HERE. Our organiser in Marina Bay Sands was this pleasant lady named Tan Aih Kim. 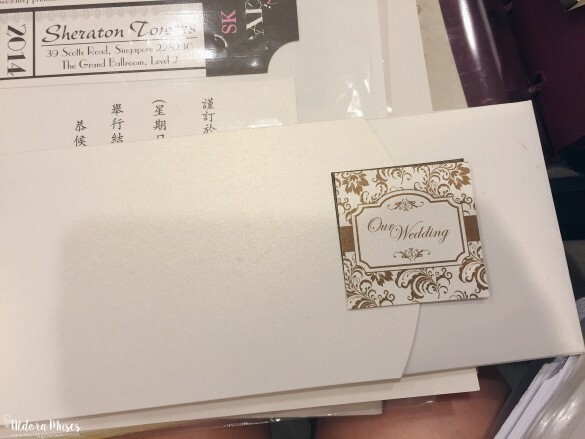 She provided us with the Wedding Banquet Preparation Kit with a timeline of what is expected of us as below. This Wedding Preparation Kit proved to be really helpful in our Wedding Banquet Preparation as we stuck to it religiously throughout. 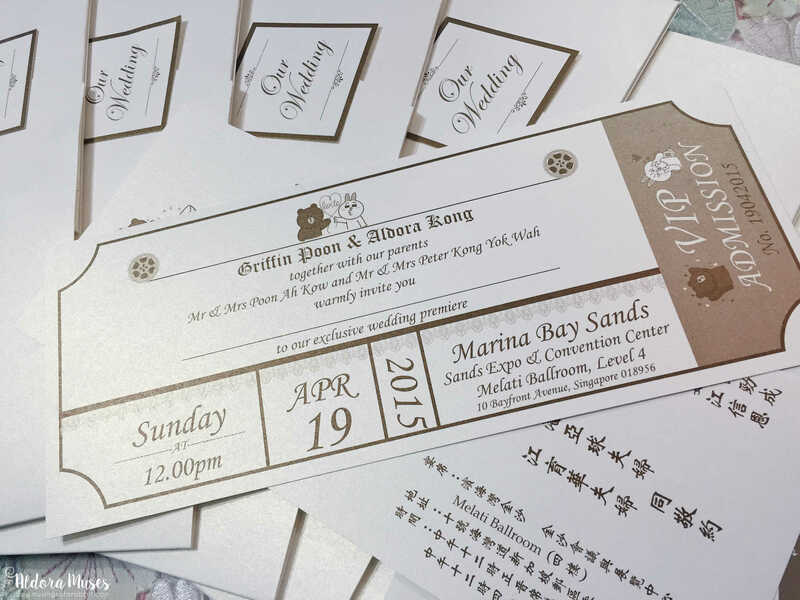 Wedding Invites were included in our Marina Bay Sands package and the vendor they used was American Wedding Treasures (AWT). We paid a visit to American Wedding Treasures and selected the fonts and text to be printed on our wedding invites. I requested them to include customised logo from LINE Stickers as they look so so cute! We had a food tasting session based on the menu set we selected. We chose Menu B (out of the 3 Chinese Lunch Menus provided) as we thought it was unique to have avocado in their dessert. Also, the Chilled Cream of Avocado with Sago was not too sweet for my Mom who has diabetes. Our parents were very satisfied with the dishes served during the food tasting as the food was prepared in the cantonese style by a Hong Kong Chef. We even got to feedback to the Chef face to face after the food tasting session and my Mom suggested the Chef to prepare the Braised Bird’s Nest Soup with Conpoy in Chicken Broth in the sour and spicy flavour because the original dish tasted pretty bland and jelak. 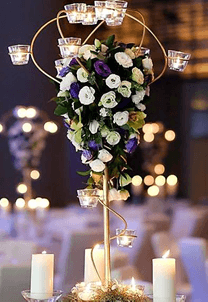 Marina Bay Sands work with 3 florists – June Florist Pte Ltd, Sing See Soon Floral and Landscape and Woodsville Florist Pte Ltd. We get to choose to work with 1 of the florists of our choice and place our order with them. 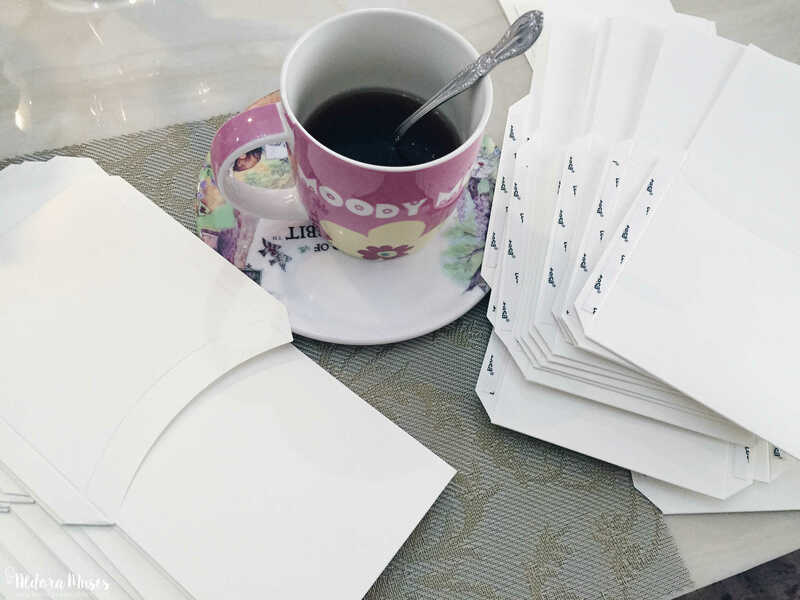 This process was tedious as we need to fold the envelopes for the wedding invites and write the names of our guests manually on the cards. Nonetheless, we felt accomplished to see everything fall into place! However as most of the confirmation has been done during the Food Tasting session earlier, we were spared the hassle to have to visit the hotel for a second time to finalise the above details. With regards to the guests’ attendance, our parents did pull some last minute stunts on us by requesting for more seats for their guests and change in seating allocation etc. Thank God we managed to settle all their requests and the wedding banquet preparation went pretty well. 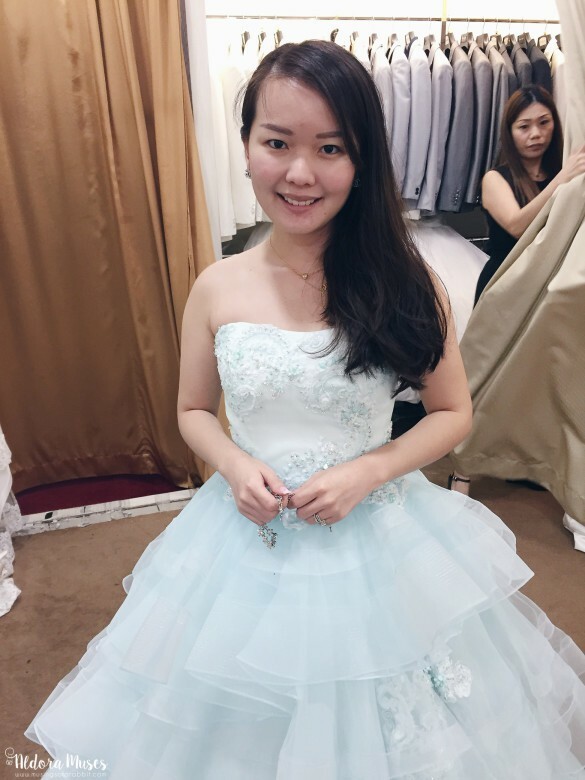 As I had my church wedding on 12 April 2015 and the banquet is exactly one week later (on 19 April 2015), we visited Digio Bridal to return the church wedding gown in exchange for the Banquet gowns. I wore this pair for my pre-wedding photoshoot HERE. As our church wedding and banquet wedding is one week apart, that gave me leeway to prepare and edit my own montage and video to be played during the banquet reception. I wonder which bride does her own wedding montage and edits her own wedding footage? HAHA I did save ALOT of money for doing them by myself! And.. My videos can run as long as I wish as professional videographers will normally limit the video length according to the package taken. 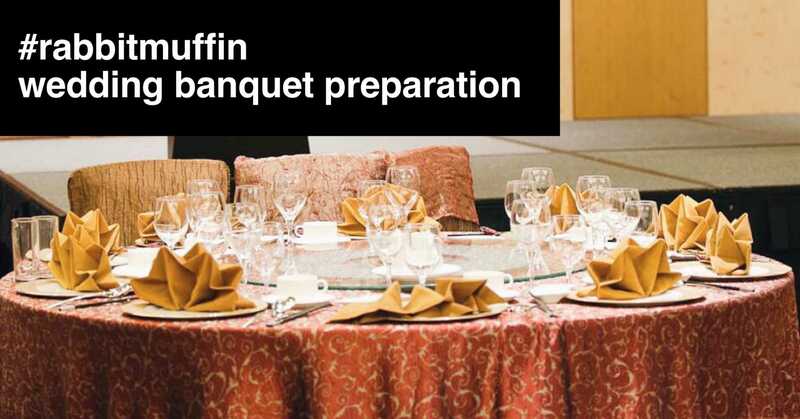 As the final stage of our Wedding Banquet Preparation, we have to confirm on the seating and allocation. Some guests do enjoy playing last minute stunts on us by backing out or by bringing extra pax. Hence there is a need to choose our guests wisely. We only hosted 20 tables because we believed that wedding is an intimate affair and we would love to share our joy with only our close ones. 2016 Saga – Bloggers Friends No More Because of “Missing” Seat? 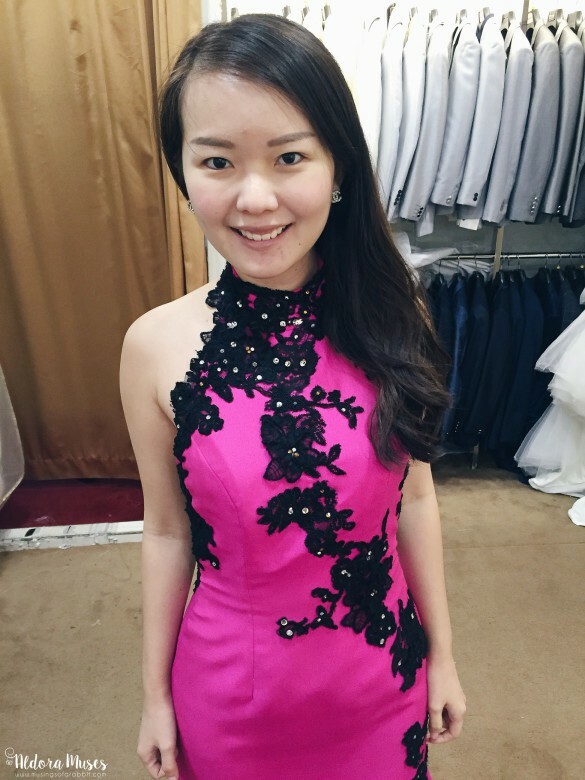 Understand that there was a recent saga on how 2 bloggers became loggerheads due to a boo-boo which happened during a wedding banquet held at Marina Bay Sands just a couple of months ago. You might want to read the stories HERE (Part 1) and HERE (Part 2) if you do not mind boosting their blogs’ traffic. In short, blogger A failed to get a seat allocated to her during blogger B’s wedding banquet and left the venue grudgingly on an empty stomach. She then ranted about it on her Facebook Page and accused blogger B for her poor planning skills. Both bloggers were arguing via WhatsApp and their nasty exchange of messages were being published. *Disclaimer: I have no feuds with BOTH the bloggers involved in this saga and I am not related to them in any way. Opinions are purely based on my own experiences with Marina Bay Sands. My take on this is that Blogger A has nothing better to do than rant about this on social media because I know that this issue can be easily resolved by the staff at Marina Bay Sands. Our wedding consultant – Aih Kim suggested to reserve 1-2 extra empty tables for standby to cater for unforeseen circumstances. These extra tables would only be chargeable if they are utilised on the actual day itself. And to be honest, a similar incident actually happened on my wedding because of my “poor planning”. Well, you can’t exactly blame the bride for unintentional omissions because she has so many things to handle during the wedding banquet preparation stage. Moreover, I’m sure both the bride and groom would be so stressed up that day and hence might behave a little cranky when provoked. Also, Blogger A need not walk off without checking with the receptionists / staff. She had every right to ask for a seat to be allocated to her if she realised that her table was fully occupied (by a baby) on the basis that she was an invited guest. I trust that all invited guests should be able to provide some form of proof i.e. 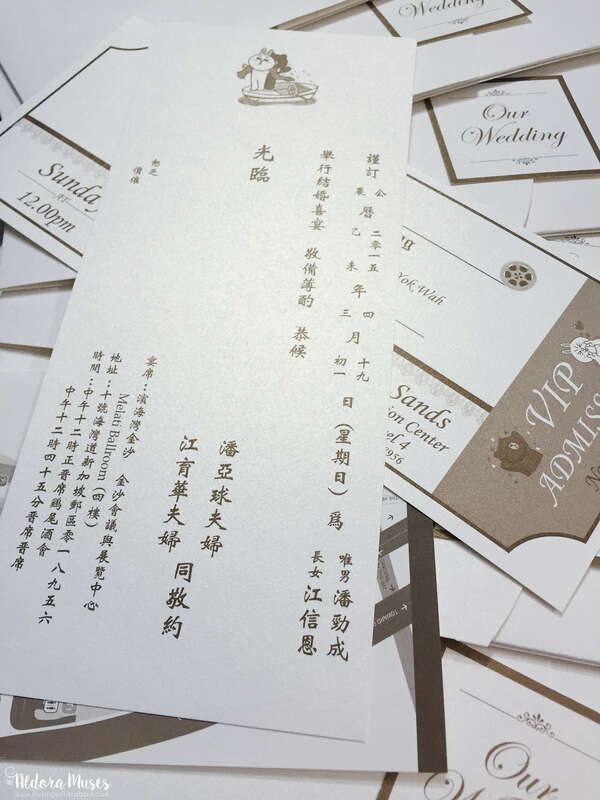 invitation card. There is nothing to be ashamed of to request for a seat to be assigned to her anyway. Somebody asked what would I do if I were Blogger A. The answer is simple – I will decline the invitation politely if I am not on close terms with the newly-weds. Moreover, attending a wedding alone (if there are no common friends around) is simply too boring. What would I do if I were Blogger B? I believe that most of us do not enjoy receiving the “red bomb” from others especially when the newly-weds are not very close to them. Hence do unto others what you want others to do unto you. So much preparation! I guess a wedding is asking so much work but seems everything was amazing! Have a nice week ahead! Totally agree that hiccups are normal during a wedding and guests should try to be a little more understanding. Thanks for sharing! Aldora, you look fabulous! There is soo much preparation! Can’t wait to see your wedding day photos! Thanks for sharing love! There is so much to think about and do for planning. Loving all your special details. There is so much to think about! Loving all the details and the shoes are amazing! 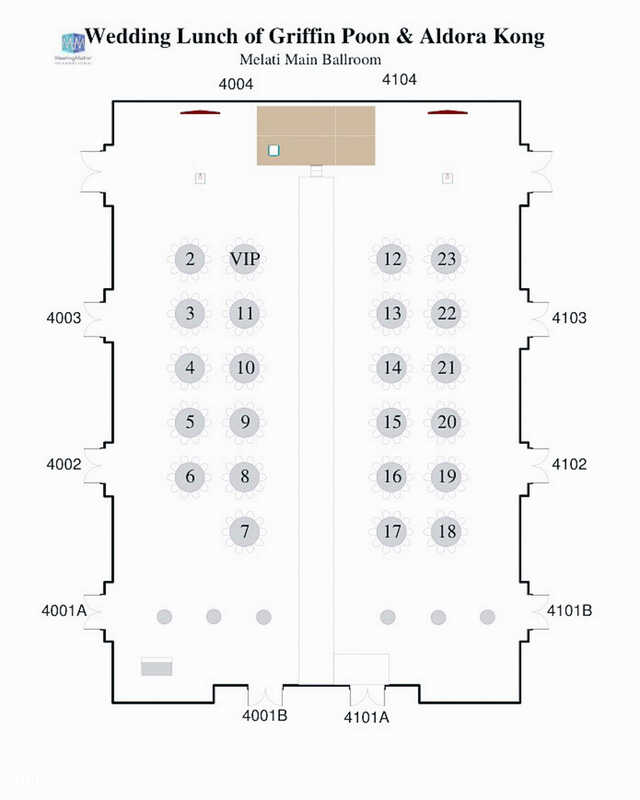 Gosh this is just incredible, so much planning goes into a wedding, though it’s entirely worth it! I love your choice of holding the banquet at Marina Sands Bay by the way. I’ve just read the article on the two bloggers/brides, what an awkward argument! Thanks, Gabrielle! Have you been to Marina Bay Sands by any chance? It was truly beautiful and the bridal suite was heavenly ~ The best choice ever made 😉 Have a FAB week too hun! Preparing these things takes so much time and effort, but in the end it is so worth it! Couldn’t agree with you more, Alyssa 🙂 Have a FAB week! Yeah 🙂 So glad its all over! I bet this is so exciting. I have a mini wedding but im looking forward for a bigger one and this gives me tips. Wow! Love this post! Great preparation! Yeah, planning in excitement 🙂 Have a fab week, Gemma! You both did such an amazing job planning for your big day, which I know for sure was just magical, to say the least! You put such thought into the smallest details! That menu looks so delicious and is making me hungry now, haha! 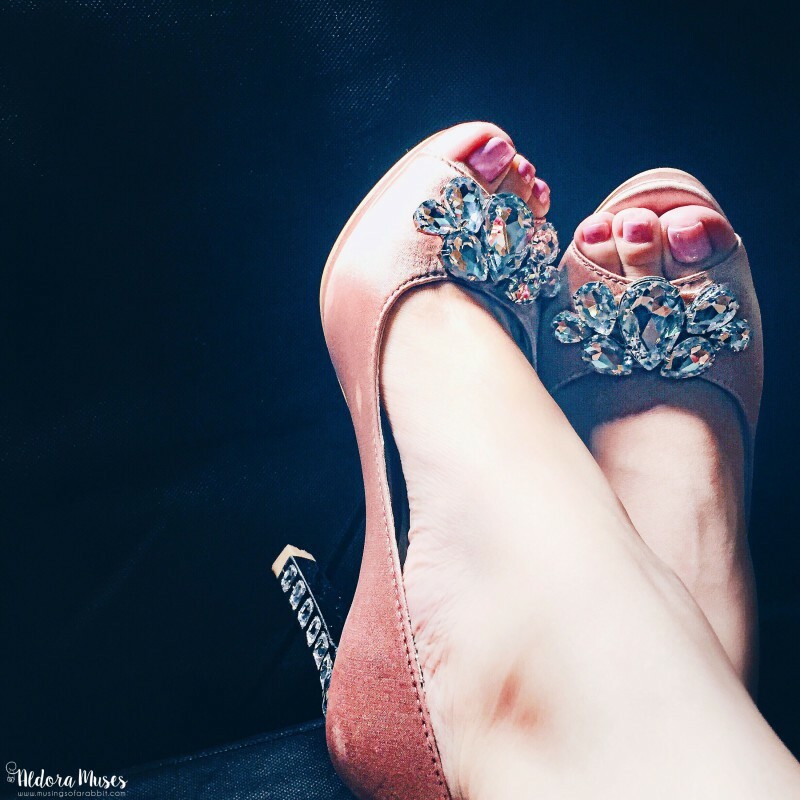 I absolutely love your shoes, so very pretty! 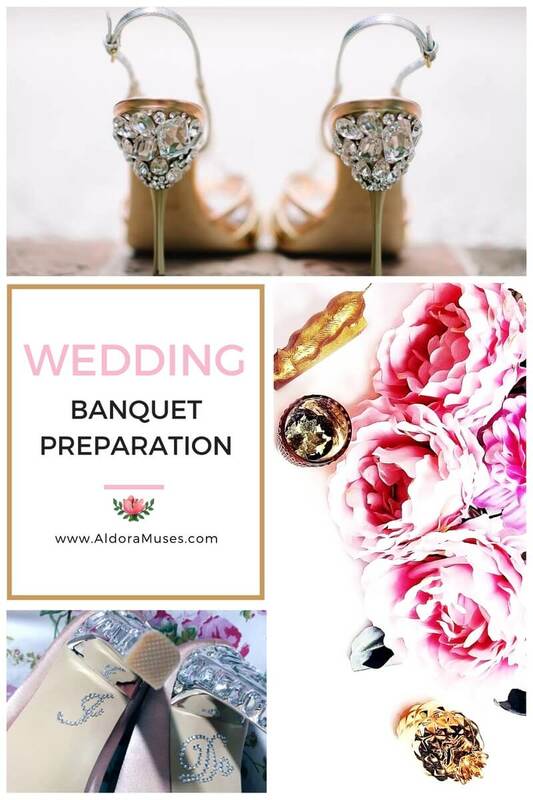 Thanks so much for sharing all of what went into planning your big day, I know that those who are planning will find so much inspiration in these posts and I myself love them! I hope you have an amazing week ahead, gorgeous! Thanks so much for your compliments, Jalisa! Sharing is caring, which is the motivation that kept me blogging 🙂 Have a fab week! Wow! So much to do!! What a beautiful banquet! 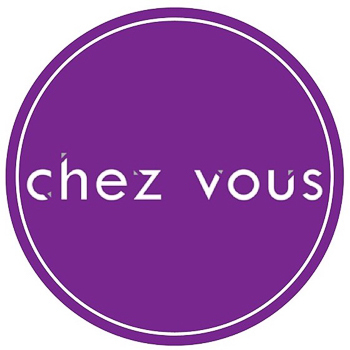 The food sounds amazing and your gowns are gorgeous! I love that your husband did most of the planning. My husband didn’t help me at all. I also understand about mishaps, and it’s nice that your receptionists resolved the issue. Beautiful post! Thanks Lili 🙂 Most brides would love to include alot of details into their wedding planning but I’m not too particular, which was why I allowed my husband to do the planning :p We went for the standard stuffs, the only fanciful thing I did was the wedding montage and the videos, that’s all 😀 But yeah, planning is always stressful and hence I am grateful its all over! Aww thanks, Meron! have a fab week!! Oh my gosh your wedding looks incredible, but it looks like there was so much planning involved! 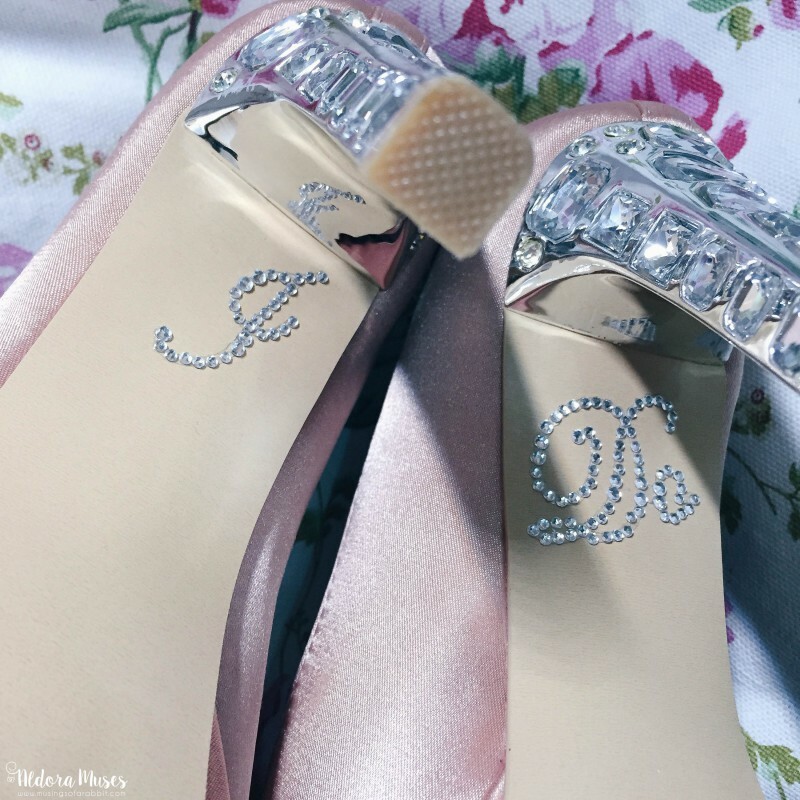 The way you have your initials underneath your shoes is the cutest thing! People should be more understanding and not so rude, after all, it’s the brides day, not theirs! 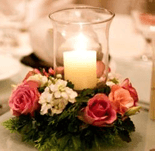 Great information… so much detail has to go into a wedding. I love the shoes, very unique. You look gorgeous! 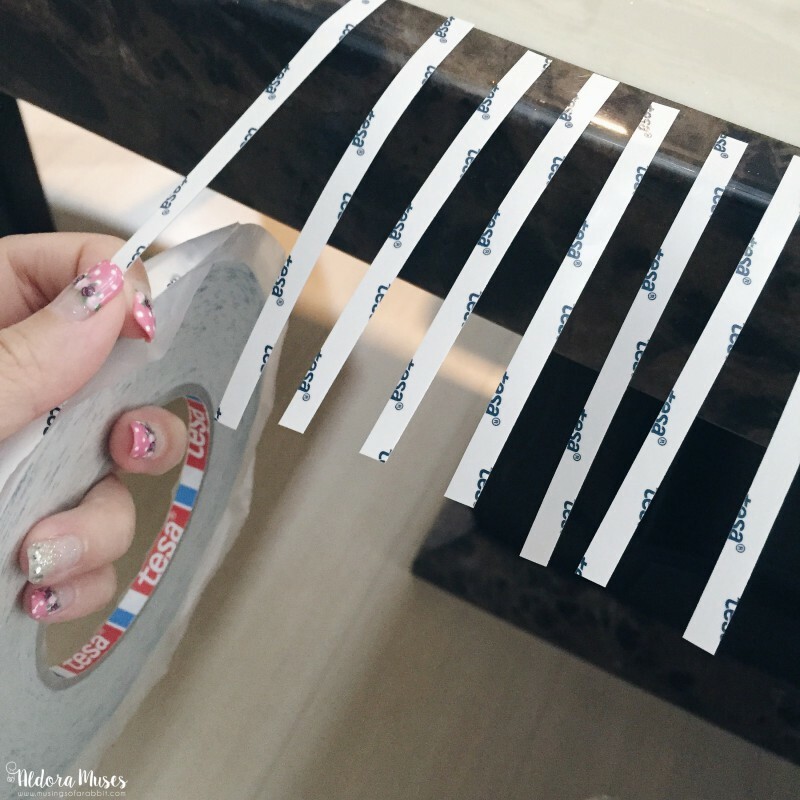 It’s so interesting to see the behind-the-scenes of planning a wedding. It’s so much work but comes out looking flawless! I love those standing bouquets especially! Thanks Chelsea! Yup it was real fun planning the wedding and seeing them happen 🙂 Have a fab week hun! Aww how sweet to have an intimate dinner to celebrate your engagement 🙂 Can’t wait to see your big wedding hun! Congratulations! I’m sure looking back these photos that all the hard work is paid off!! I just couldn’t depart your web site before suggesting that I really enjoyed the standard information a person supply for your guests? Hi!! Could I have the contact details of Aih Kim please? Thanks!